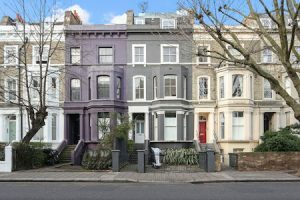 If you’re looking to sell your property you may need our top tips for selling your house this summer. As we all know, the market in London at the moment is very tough. It is without doubt a buyers market and they know it! That means savvy buyers will be looking to reduce the price they pay wherever possible. It also means the pool of people looking to buy is smaller than in a buoyant market so you have less chances to impress those who walk through the door. On the plus side, properties can look at their best in the summer months with the sun shining and lots of flowers out. With a bit of careful preparation, you can give yourself a pretty decent chance of getting an offer that you’re happy with. Even in a slow market, as is often the case during the summer months, fairly priced and well-presented properties will sell. Our transaction levels at the moment are OK – not the best – but things (and people!) are still moving. People are very quick to judge. That goes for property as well as people. 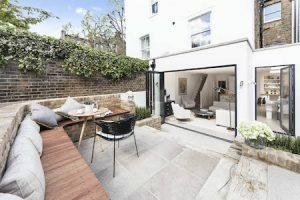 We’ve all seen those property programmes where the presenter stands outside a house and asks the potential buyers ‘So what are your first impressions of this property?’ People often decide whether or not they like a property without even seeing what’s inside. 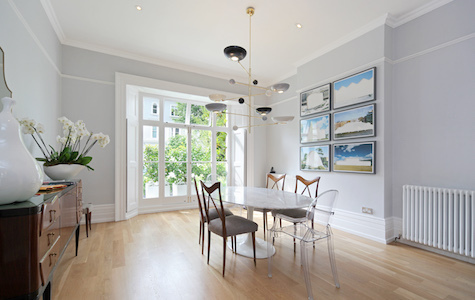 When deciding what to spruce up, approach your property as if you’re seeing it for the first time and take the same journey as the buyer would. Look at where you can improve the view. Many hallways in period houses and flats can be narrow. Don’t exacerbate this with clutter. Try and make the hallway enticing so potential buyers want to see the rest of your home. Move the shoes and coats that normally hang in the hall and put a jug of flowers on the hall table if you have one. Also consider an interesting piece of artwork – not a family photo as this is too personal. People are often advised to ‘wake up and smell the coffee’ and have their house smell of fresh coffee or baking bread. We disagree. What if your potential buyers don’t like these smells? We advise you to avoid any strong odours and that includes air fresheners and perfumes. They can be a real turn off. Just ensure your home is fresh and clean. The summer sun can really show up dirt on windows. Cleaning them on the inside and out before viewings can make a difference. They will also provide a clear view out onto a well-tended garden or terrace! If you’re not confident of a streak-free finish, we recommend using a window cleaner to guarantee a good result. Also ensure curtains or blinds are open to allow the maximum amount of light in. It’s amazing how often buyers are drawn to windows to check the view outside. You might think your pooch or moggy is the cutest in the world but what if your buyers are not keen on them? Pets can be a real distraction and make buyers uncomfortable if they’re not keen. The best thing to do is ensure pets are out of the house during viewings and their hairs are vacuumed away! You may think you’re being helpful by pointing out useful things like where the meters are but in reality you’re probably being a distraction. If you’re around, potential buyers won’t feel comfortable giving your home an honest appraisal. They may also want to discuss changes they’d like to make and won’t be able to do this with you in earshot. Many people looking to buy in the summer want to be settled by September so some are looking for quick sales. Good luck! If you would like to know how much your house is worth, we’d be happy to offer expert advice.